Apple’s iOS 9.1 firmware update was a welcome installation for iPhone and iPad owners for a number of reasons. It offered stability upgrades and noticeable performance improvements that just made the iOS ecosystem on compatible devices a nicer place to be. 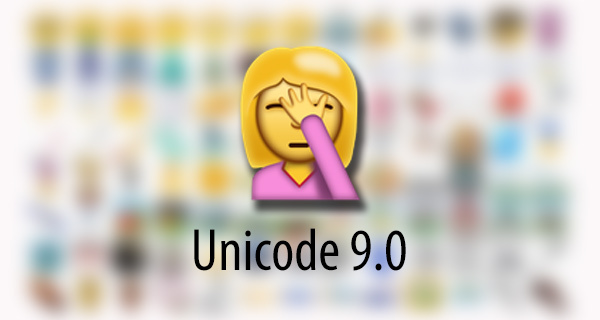 There may have been a lot of engineering work that went into producing iOS 9.1 to bring the under-the-hood improvements, but it was really one feature that grabbed the attention; the introduction of new emoji characters. An agreement by the Unicode Consortium could now pave the way for additional emoji excitement with Apple’s upcoming iOS 10. 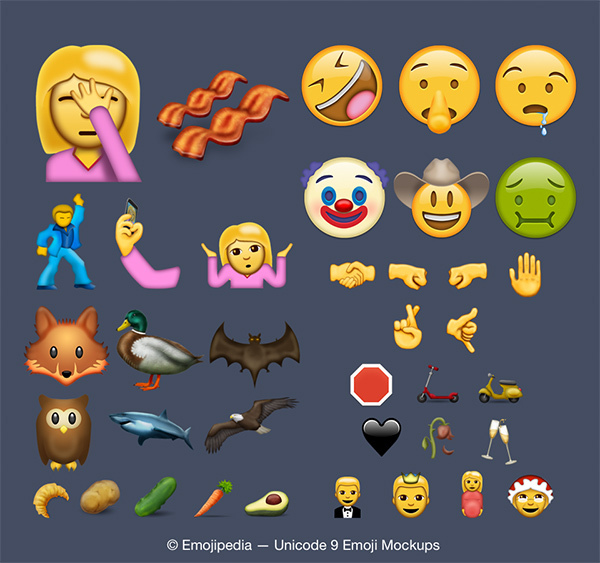 The Unicode Consortium has accepted a total of 74 new emoji characters that could soon find themselves being integrated into Apple’s iOS 10 platform. The accepted characters have been shortlisted for introduction into Unicode 9.0 which is scheduled for an official release in mid-2016. Considering Apple generally reveals its latest major iOS firmware in June at the Worldwide Developer Conference in San Francisco, the two could be on an exciting collision course to integrate with one another. The iPhone 7 could definitely have a stronger emoji game. The accepted characters are based on “popular request, gender-matching pairs, and compatibility with emoticons in existing platforms”. The 74 individual icons have been approved in theory by the Unicode Technical Committee, but will go through another stage to see exactly which ones get added to Unicode 9.0.
iOS 10 may get a developer preview this coming June, but it’s generally around the September/October time that the software goes live with Apple’s new smartphone. That leaves plenty of time for Apple to put the necessary provisions in place to make sure that these new emoji get integrated into the platform. There’s no guarantee that Apple’s iOS 10 and iPhone 7 will ship with this capability, but considering how much excitement was generated when iOS 9.1 introduced things like the “middle finger” emoji, it’s likely that Apple will provide this functionality to users. Now it’s just a case of wait and see. Just give me more sad face emoji and I’ll be happy. Nah, don’t be depressed please. There needs to be a pie emoji! There are so many foods still missing I will love to see!